Medium size casserole or oval dish without lid. Use foil to cover the dish as this saves space in oven. Cover bottom of dish with a layer of sliced red cabbage. Add the onion, apple, sugar and 1/2 the vinegar. 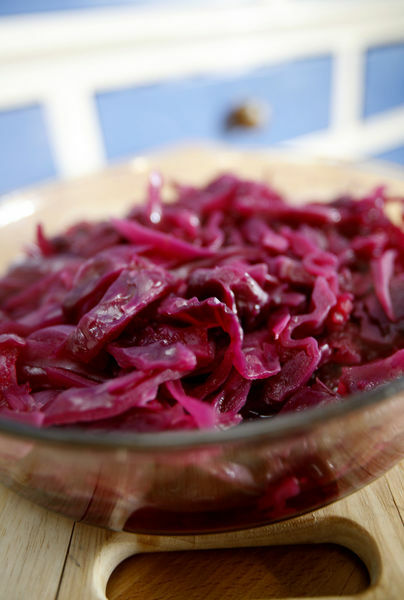 Cover with a layer of red cabbage and rest of vinegar. Add water and cover with foil. Bake for a minimum of 1 hour in medium to hot oven until cabbage is tender.